Disassembling furniture for a move is another one of those DIY projects for those who do not want to enlist a moving company. Even for those who do seek help from a moving company, disassembling furniture yourself ahead of time is one way to save time and money. Big, bulky furniture is made to fill rooms with elegance; however, big, bulky furniture is not made to fit through doors, hallways, and up staircases. One of the easiest ways to maneuver corners and stairways without scratching the wall, door frame, or chipping a fresh coat of paint is to disassemble furniture. There are even more benefits aside from preserving the home and the furniture. When items such as couches, chairs, appliances, bed frames, dressers, tables, and shelving units are dismantled, they fit into a moving truck easier; take up less space during the move, hopefully saving trips back and forth; and are lighter to lift into their final destination, which can decrease pain and injury caused by carrying heavy items. There are a few things to do before beginning to take apart furniture. First, whether the person is a family member, friend, or neighbor, ask for help. Heavy furniture should not be dismantled alone. Measure doorways and hallways, then measure the furniture that has to be moved. This is a sure way to decide which items must be disassembled. In the case of moving, inches matter. A door may need to be removed from the hinges, or the legs of a chair may need to be taken off of in order for it to fit through a doorway. If, for example, a table has a glass top remove it prior to disassembly to prevent breaking, and pack it separately. Once planning is out of the way, it is time to begin disassembly. It is most useful to have an instruction manual on hand, if available. Sometimes instructions can be found with a simple web search if the hard copy is lost. It is even more helpful to acquire the correct tools beforehand. Most furniture is put together using screws or nuts and bolts. Different furniture may require different size screws and screwdrivers, so try using an electric drill and a variety of drill bit sizes. The other essential tool is a hammer. After furniture is disassembled, keep all the screws, bolts, washers, and any other small attachment together. Small pieces are best kept in a Ziplock bag, labeled for the piece of furniture it goes with. Say there are 10 different screws for one table, label each screw “1 out of 10” and so on as a way of making sure all required pieces are there. Another option is to tape the metal pieces and furniture legs to the bottom of the furniture it belongs to. For items, such as a table, wrap the edges and corners in a moving blanket to keep them protected. This also protects other items they might scratch during the move. 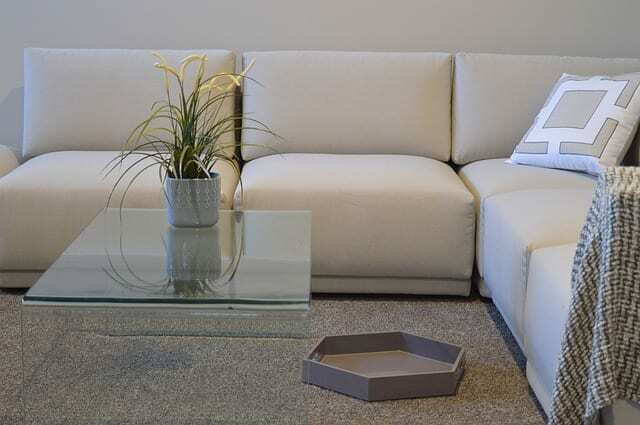 Remove any cushions and pillows that are not permanently attached, then cover them in garbage bags for the move. As the final steps, consider renting a dolly with straps to assist in move the heaviest items from the home to the moving truck. The heaviest of furniture should be the first moved onto the truck, with lighter items, including pillows and cushions, as fillers in any empty spaces.